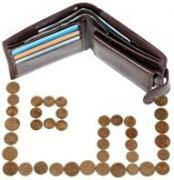 Insolvency advice: What household expenditure is permitted? An important factor in personal insolvency advice is determining what essential household expenditure will be permitted by the Insolvency Service when calculating the level of income payment agreements. Under the rules, there are certain essential outgoings that will typically be taken into account, although the exact amount spent on each item may need additional proof. As a rule of thumb though, the Insolvency Service takes into account the ONS Household Expenditure Survey as a national snapshot of how much things cost. For example, a household of two adults with one child are currently expected to spend £438 per month on housekeeping, including food and cleaning supplies. Gas, electricity and heating costs are expected to come to £134, with £196 on private transport or £66 on public transport to and from work. Being able to carry on working is a key concern, and childcare and dry cleaning are both acceptable areas of essential outgoings too. However, personal insolvency advice may warn you of certain non-essential areas that will not be covered, for example satellite TV (although the standard TV licence is ‘essential’), cigarettes and alcohol, and donations to charity or religious groups.